Help keep your family & neighborhood safe through winter storms by locating the fire hydrants in your area and assisting in keeping them clear and accessible. Click on the link below to view the hydrant map and find yours. If you have any questions, please contact us. It takes a village to keep us all safe. Please help us by digging the hydrants out closest to your house, encouraging age appropriate kids to dig a few out on your street, or gather together with a group of neighbors and clear out hydrants in your neighborhood. 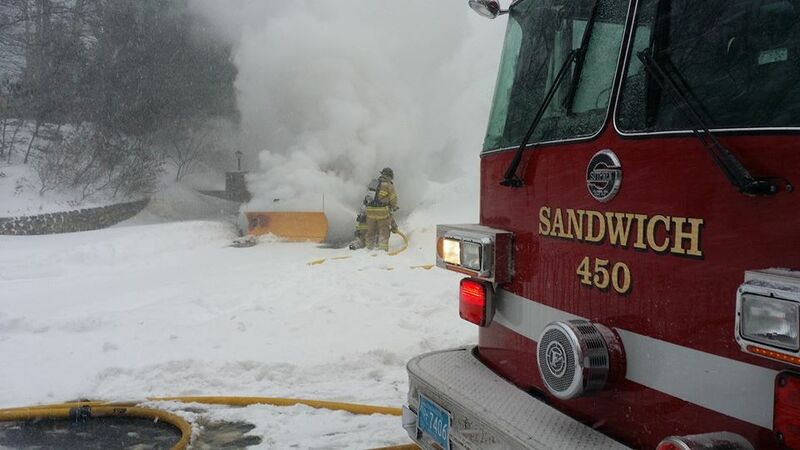 Sandwich Fire Department appreciates the assistance, and so will neighbors needing emergency help in the storm. We appreciate the community support! Send us a picture of your shoveled hydrant. We love seeing them. Remember, for every minute a fire burns it doubles in size! Be part of the SFD snow patrol! Share a picture of your efforts with us on Facebook or Twitter!